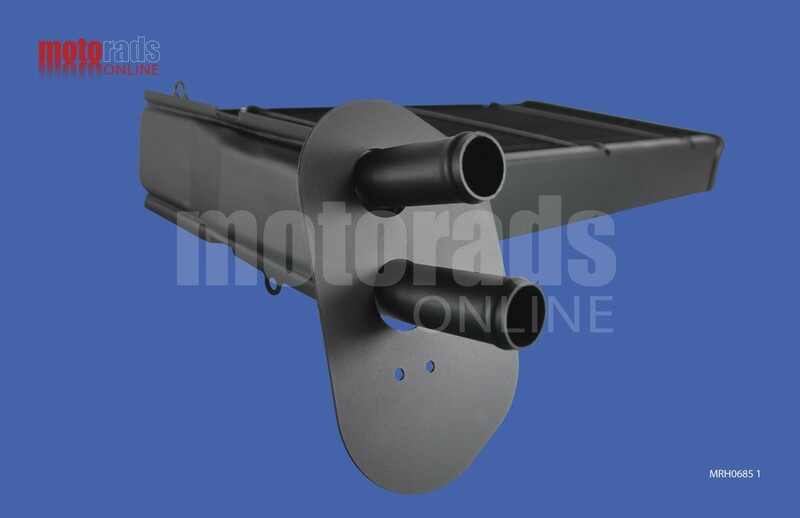 A Top Quality Heater matrix to fit the VW Volkswagen Transporter T4 1991 onwards. This is a copper and brass version of a plastic/aluminium original heater matrix made to the highest standards in the UK. There was more than one heater matrix used on the Transporter so you need to be careful whan you identify yours. The main difference will be in the flange and this particular version (for vehicles without aircon) was the most common one used on th T4. The version with a different flange position which was used on vehicles with air con can also be found on our website. Be wary of cheap imported versions of this heater which are not only very poor quality but most will not fit because they were intended for left hand drive vehicles. You can click on the image to enlarge it or move your cursor over a specific area to look more closely at a particular feature on the heater core. The dimensions given below are overall dimensions and not the centre core measurements. If you are not sure whether this is the heater you require please contact us and we will help. This product can be delivered next working day and has a full manufacturers warranty. Full details of delivery, warranty and the returns policy can be found in the links at the bottom of the page.